The Federalist Society is an influential force in the U.S. legal world. In the Trump era, though, the Harvard Law chapter of the conservative and libertarian organization says it's maintaining distance from the controversial president. 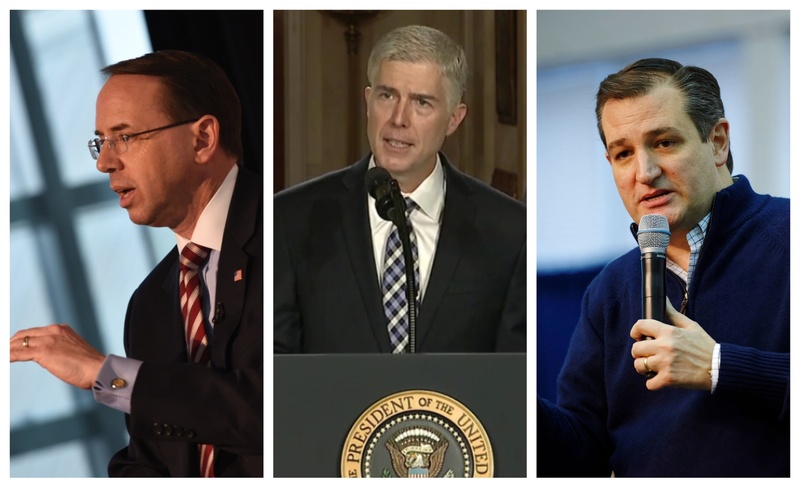 United States Deputy Attorney General Rod Rosenstein, Supreme Court Justice Neil M. Gorsuch, and United States Senator Ted Cruz all passed through the ranks of the Harvard Federalist Society. When Supreme Court Justice Anthony M. Kennedy announced he would step down from the nation’s highest court over the summer, President Donald Trump already had a ready-made list of replacements at his disposal. The list of 25 conservative judges raised questions and sparked headlines about the organization whose members were heavily involved in crafting the list: the Federalist Society. White House counsel Donald McGahn and Leonard A. Leo, the executive vice president of the Federalist Society, curated the roster of prominent right-wing judges. Leo took a leave from his day job to advise Trump on the Supreme Court nomination. McGahn is also linked to the Federalist Society, which features him prominently on its website as a contributor. The Federalist Society, a conservative and libertarian organization designed to counter “orthodox liberal ideology” within the American legal system, has built a sizable web of chapters in cities and law schools across the U.S. — including at Harvard Law School. The group's website dubs the branching connections "a conservative and libertarian intellectual network that extends to all levels of the legal community." The Federalist Society's mission is ambitious: to shift the priorities of American lawyers and to reshape the American judiciary. The society’s influence on Republican presidents’ Supreme Court picks became impossible to ignore when Trump nominated conservative judge Brett M. Kavanaugh in July. Kavanaugh, who taught a course on the Supreme Court at Harvard Law School, had received a stamp of approval from Leo — and Trump chose him from the list Leo and McGahn provided. He was ultimately confirmed as a Supreme Court justice in October 2018. Kavanaugh’s confirmation process temporarily stalled after several women levied allegations of sexual assault against the then-nominee, roiling the nation and raising questions about how Americans can and should evaluate stories of misconduct. But it also raised questions about the politicization of American courts today — and the Federalist Society’s role in establishing that politicization. In an interview with NPR, Amanda Hollis-Brusky — a Pomona College political science professor who wrote a book on the Federalist Society — said that, though Leo was the main architect behind Trump's list, the Federalist Society at large is responsible, too. “That list is in many ways a product of the Federal Society [sic] and its network,” she said. The national organization has become a pipeline for conservative judges and a major force in American conservatism — and Harvard Law School alumni are some of its most prominent players. In the Trump era, though, the Harvard Law chapter is maintaining its distance from the controversial president. Instead, the group is centering its focus on campus and on providing a space for students who find themselves at odds with Harvard’s liberal-leaning legal luminaries. 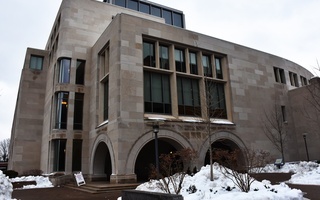 In 1982, a group of conservative law students at Harvard, Yale, and the University of Chicago founded the Federalist Society for Law and Public Policy to differentiate themselves from the elite law schools they attended. The student division of the society includes more than 10,000 law students with chapters at all 204 American Bar Association-accredited law schools across the country, according to the society’s website. The national society works with the various law school chapters in a number of ways, providing speakers for forums and organizing lectures and debates. “The Federalist Society's national office assists law school chapters to invite speakers to discuss and debate ideas that are otherwise not often heard on law school campuses and can advise students professionally when they seek such advice,” Federalist Society President Eugene B. Meyer wrote in an email. Though it started as a student organization, the Federalist Society today includes law school faculty and lawyers as well. Over 65,000 legal professionals make up the Lawyers Division, and local chapters can be found in 90 American cities. One Harvard Law School alumnus — the late Supreme Court Justice Antonin Scalia, who graduated from the Law School in 1960 — served as an intellectual forefather of sorts for the society. His doctrine of originalism, a strict interpretation of the Constitution, shaped the philosophy of the Federalist Society and the judges it embraced. Scalia was the first faculty director of the society’s chapter at the University of Chicago Law School. Law School Professor Charles Fried said that, when the society first came into being, it primarily served as a community for students who fell to the right on the political spectrum. Fried said he has been involved with the Harvard chapter for decades. “Certainly at the outset which was in the early eighties, the Federalist Society represented not only the views or the constellation of views which were rather underrepresented, and with which I felt considerable sympathy, but also they were students who found themselves slightly embattled, and they felt a minority and they felt somewhat squeezed,” Fried said. “And so my sympathy led me to want to help them out and to further their efforts." Throughout his many years as faculty sponsor of the Harvard chapter, Fried saw a number of conservative leaders pass through the organization as students. Current Supreme Court Justice Neil M. Gorsuch joined the group while attending the Law School in the early '90s. So did U.S. Senator Ted Cruz. And, decades before Rod Rosenstein became an embattled deputy attorney general overseeing the Russia investigation, he, too, sharpened his debate skills in the club’s ranks. Harvard Law has long maintained substantial ties to the Federalist Society — but in light of Trump’s judicial nominations, those ties are causing some discomfort in Cambridge. Harvard Law School is known for its left-leaning ideological bent. 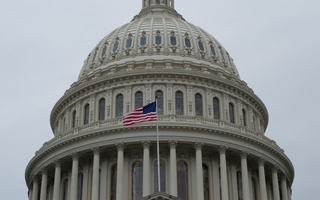 Ninety-eight percent of faculty political donations between 2011 and 2014 went to Democratic causes, and a number of Law professors have spent time in Washington working in Democratic administrations. At Harvard, the Federalist Society has long served as a haven for conservative students who feel their values and beliefs are underrepresented in Cambridge. Annika M. Boone, third-year Law student and president of the Harvard Federalist Society, said the chapter mainly focuses on bringing in speakers for debates. In keeping with this tradition, Boone said the group typically brings in one speaker every week. Their guests include prominent attorneys and judges. Many times, the event takes the form of a debate. Topics of discussion include First Amendment rights, abortion, and religious liberty. The organization also brings members together in social settings. For Boone, the Harvard Federalist Society is home. “There is nowhere else with such high-caliber debates, such incredible academic and professional resources, and such good friends,” she said. Bradley J. 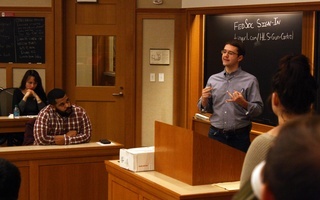 Lingo, a 2003 Law School graduate and president of the Federalist Society’s Charlotte Lawyers Chapter, said the Harvard Law chapter offered a forum for him to explore conservative legal thought. “What it meant for me is, a kid who had come from a small, Christian college in the Midwest was offered an immediate support network both academically and socially and an avenue to explore my intellectual interests in conservative, legal scholarship which wasn’t something that was readily available at the time at Harvard,” Lingo said. Lingo’s feelings about the Law School’s liberal leanings harken back to the reason students formed Harvard's Federalist Society chapter in the first place. Thirty-six years after its founding, chapters at law schools across the nation continue to foster camaraderie between conservative students. But as the profile of the national organization has grown — and, in recent years, become associated with the current occupant of the White House — Harvard members are seeking to promote their chapter’s openness to students of all ideological backgrounds, even those who do not agree with Trump. “Membership is open to all,” Meyer wrote in his email. Boone said that part of the training chapter presidents receive from the Federalist Society's national parent group encourages them to open their respective chapters to people holding a variety of beliefs. “There’s a conference that they take every chapter president in the country to in D.C. over the summer, and they talk to us about the importance of making sure that we are representing people across the ideological perspective,” Boone said. Even with a diverse range of beliefs, Boone said she has heard people complain about the society and equate them with the Trump administration. Boone said many have tried to tie the Harvard Federalist Society to Kavanaugh’s nomination. She said the chapter does not endorse political candidates or judges. Still, the national organization wields significant influence over lower court nominations. Hollis-Brusky told NPR the Federalist Society has successfully pushed many of Trump’s judicial appointments. Boone said the Harvard chapter has no connection to the work on the national level — and Lingo maintained that the organization is nonpartisan. “First and foremost, I think there’s a misconception out there that the Federalist Society is some sort of a partisan organization that supports a particular political party or candidates for political office or judicial office. It doesn’t,” Lingo said. Fried said he has found the ways the group's national leaders have recently waded into politics disturbing. “I am distressed by the fact that the national organization has allowed itself to become pretty much an adviser to the Trump administration,” Fried said. Still, the organization remains a powerful pipeline from law schools to the heights of the American judiciary system. “Informally, folks would graduate and they’d go on to get judicial clerkships, there’d be a natural network to network through and meet folks when we were applying for clerkships,” Lingo said. When conservative judges come to campus to give talks, post-lecture mingling can forge lasting connections. “There’d be some informal opportunities to connect with or network with those judges when they were on campus debating a professor or giving a talk,” Lingo said. The network leading from classrooms to the courts might one day land current students on a list for a Supreme Court nomination, like Leo and McGahn’s. 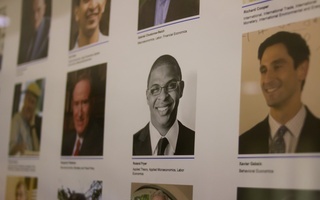 That list included two Harvard Law graduates: Robert P. Young Jr. ’74 and Kevin C. Newsom.